If you’re Irish then you’ve most likely heard of the ‘Táin Bó Cúailnge’, the legendry story of Queen Medb of Connaught. The story goes that Medb was comparing her possessions to those of her husband Allil and realised they were equal bar from one bull belonging to Aillil. In order to be equal to her husband, Medb attempts to steal the Brown Bull of Cooley. 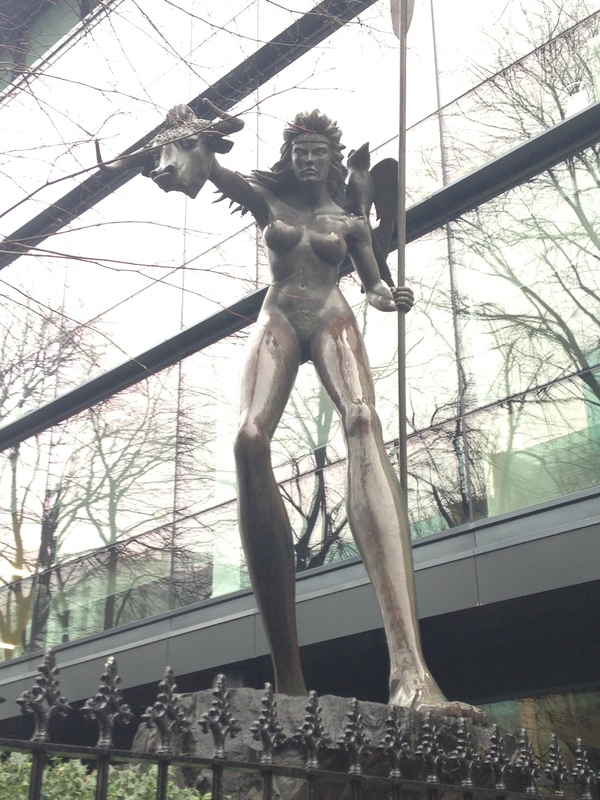 The story depicts Medb as a powerful and passionate women so it is easy to so why this statue is so huge and commanding, just like Medb herself. 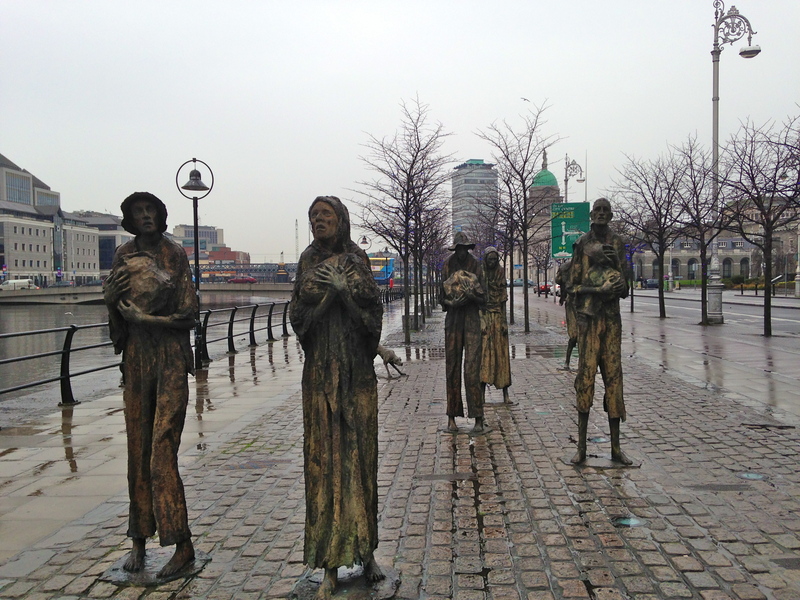 The hundreds of thousands of Irish people who lost their lives in the Famine have been immortalized in this haunting sculpture on Customs House Quay. The location of the piece, created by Rowan Gillespie, is particularly poignant as it is from this location that one of the very first ships carrying those escaping the famine set sail in 1846. Every time we pass this little guy we cannot help but match his giant beaming grin. He is hands down the most adorable statue in the country. 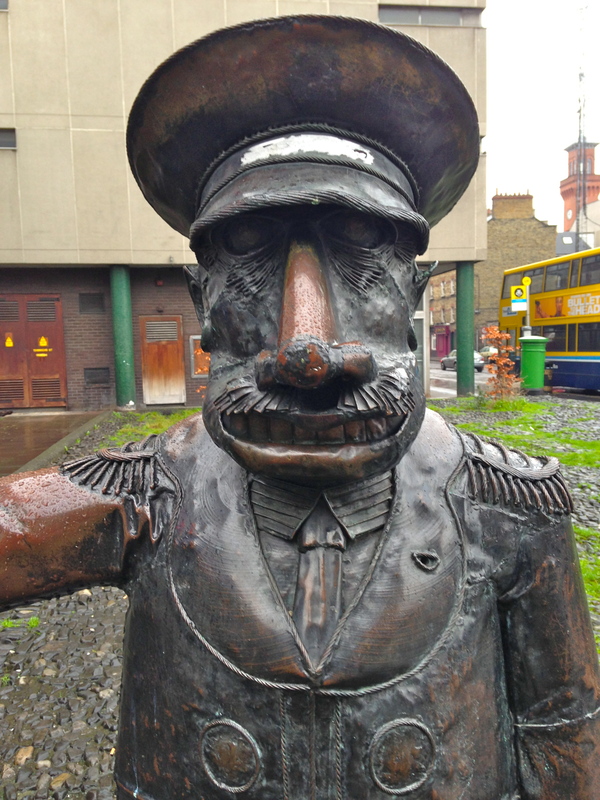 Known as ‘Mr Screen’ due to his location outside the Screen Cinema, this usher has been on duty since 1988 when he was first created by sculpter Vincent Brown. Despite his long hours, Mr Screen has remained a smiling happy face proving to passers by just how much he loves his job. This beautiful concrete mural is definitely something you could easily walk past without noticing as its gray and cream palette perfectly blends in with its urban surroundings. 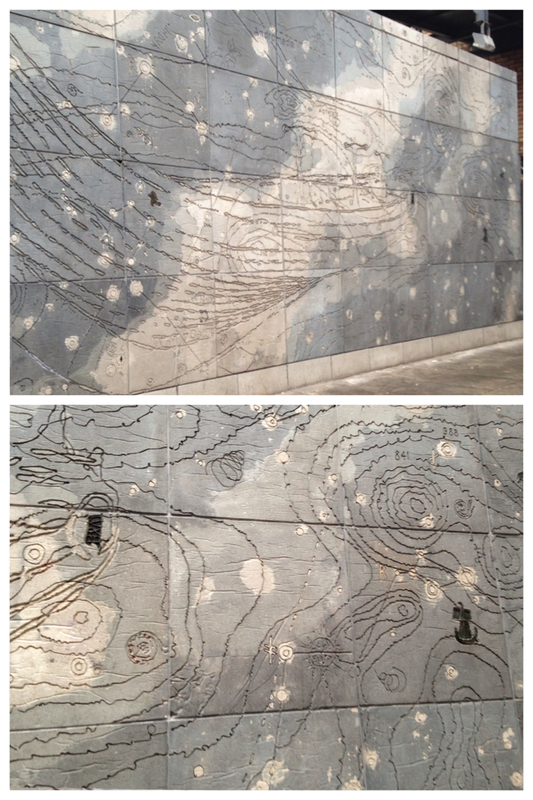 The piece, by artist Grace Weir, depicts some kind of nautical constellation chart that reveals something new every time you look at it. The amount of detail in this piece is astounding and it is almost impossible to not wander up a little closer and trace your fingers across the swirling spiral carvings. This last monument is a little outside the city limits but it’s definitely worth a look if you happen to be in the area. 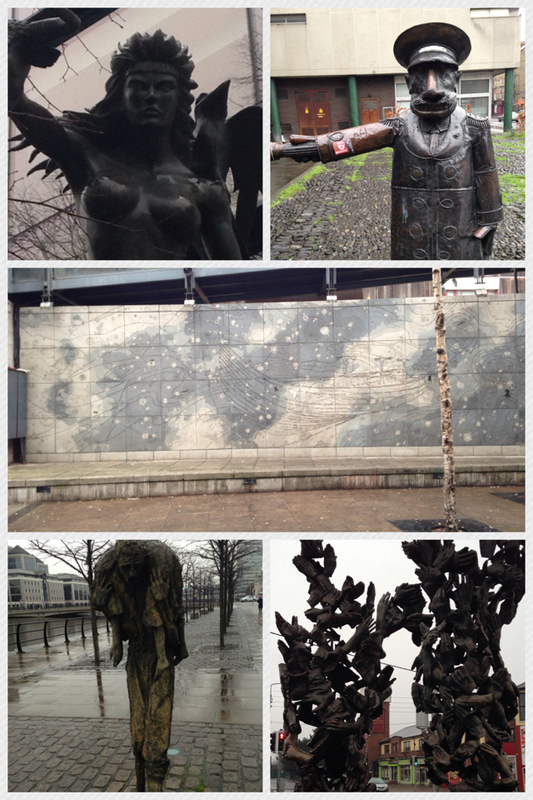 ‘The Spirit Of Finglas’ is a sculpture created by Leo Higgins in 1991. The sculpture is made from the casts of Superquinn customer’s hands, the shop outside which the sculpture is located. 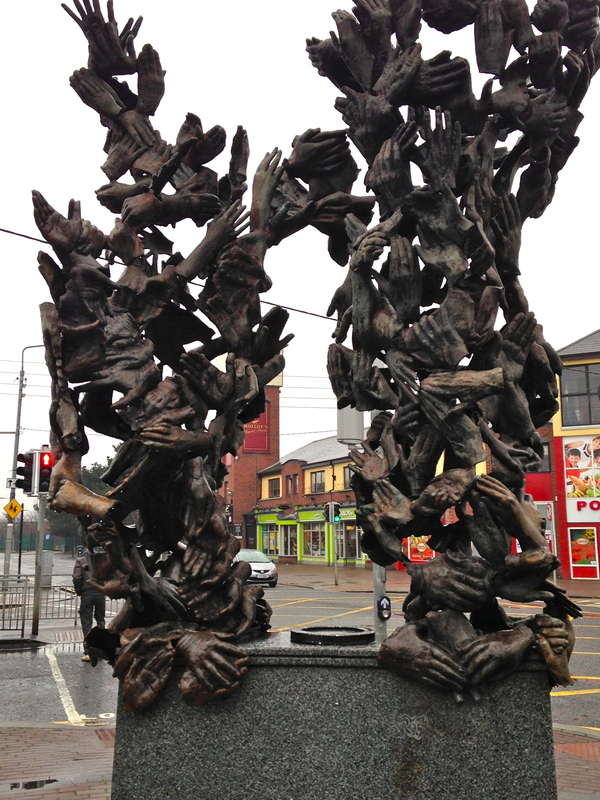 Although slightly eerie looking, particularly set against a grey January sky, the piece has a wonderful sense of community about it and is a great center piece to Finglas Village.